We are a leading Manufacturer of basic t-shirts, printed t-shirts, girls designer t-shirts, girls fancy t-shirts, girls knitted t-shirts and knitted t-shirts from Tiruppur, India. 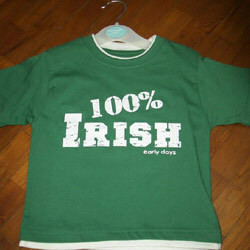 We are engaged in offering an excellent range of Basic T-Shirts to the customers. Offered at industry leading prices, the t-shirts are highly demanded in the market as these are known for adding a glamorous look to the wearer. 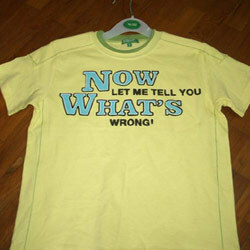 In addition to this, we can customize these t-shirts as per the exact specifications and requirements of our clients. Offered by us is an attractive collection of Printed T-Shirts in a variety of prints, color combinations, patterns, designs and other specifications. We make these printed t-shirts using skin-friendly fabrics and other premium quality material. Moreover, our team of creative experts follow latest trends and clients' preferences while designing these t-shirts. Most popular amongst fashion conscious young girls & women. One shoulder designer T-shirts with round neckline & decorated edges make the wearer center of attraction. 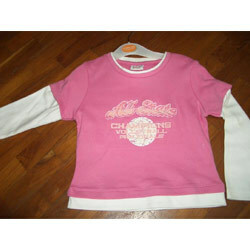 We manufacture girls fancy T-shirts in diverse sizes, colors and textures. Hi tech knitting machines are used to create an innovative range of knitted T shirts. These fancy t-shirts are shrink resistant and color fast, that adds to its value. 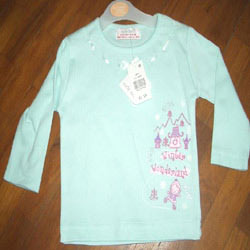 We offer complete range of comfortable and alluring range of girls knitted t-shirts. Made from the finest quality cotton fabric in soothing colors and prints. Trendy and exotic designs of these knitted basic t-shirts make them a perfect choice for being worn at any occasion. Our company provides a broad spectrum of girls knitted t-shirts that display in mottled designs and have the ability to make wearer look elegant. Our range of girls knitted t-shirts is made of excellent quality fabric; these are very comfortable and friendly to the skin. The creative imagination of our designers combined with our technical acumen to incorporate wide variety of textures, designs and colors enable us to manufacture products that make the printed T-shirt the most desirable fashion wear. The prints are not susceptible to fading and fabrics hold the charm even after repeated washes. 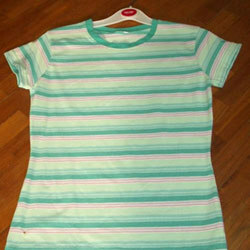 We offer elegant and designer cotton t-shirts garment for ladies that come in various designs and colors. These designer cotton t-shirts are made of cotton and lycra and have stylish fit. We design them in accordance with the prevalent fashion in the international industry. 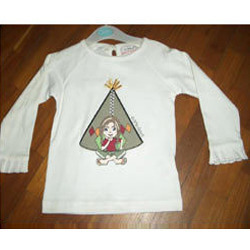 We offer a wide range of cotton t-shirts for girls, which are known for their durability and color fastness. These cotton t-shirts are very comfortable to wear in all seasons and are available in various colors, cuts and designs. 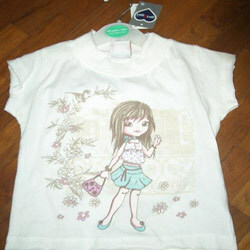 We offer to our clients a wide choice in girls printed t-shirts section. These girls printed t-shirts are available at industry leading prices. Our t-shirts are available in different fabrics and style finishes, our girls printed t-shirts follow the style and fashion trend of the market and complement today's woman. 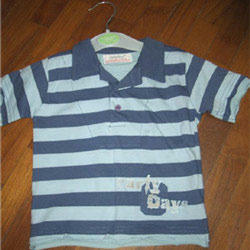 We bring an exclusive range of casual t-shirts collection of striped tops for girls is stylish as well as elegant. With distinctive combination of comfort and fashion, our casual t-shirts add grace to personality. Ladies collared t-shirts without sleeves looks customary in summers. Cool summer prints throw gorgeous appearance. We manufacture the similar outfit in wide range of colors. 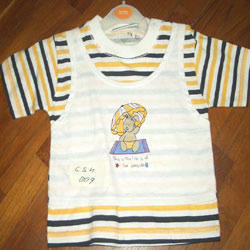 The girls striped t-shirts have a sporty look and are mostly worn with jeans and track pants, while at leisure. These girls striped t-shirts are very casual and maintenance free. 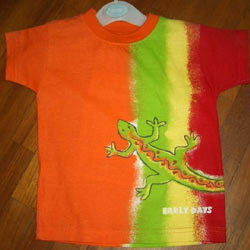 Easy to wash and dry, we offer them in many colors and designs. 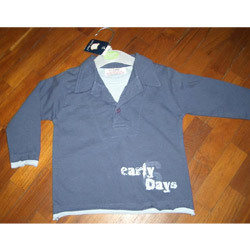 We use extremely skin friendly fabric to create our girls shirts. 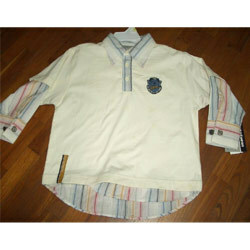 These girls shirts are available in designer cuts and styles, these are very popular among young generation. Clients can avail girls shirts in desired colors, patterns, styles and designs in accordance with their specific requirements. These girls shirts make a perfect match with any kind of pants, skirts and other attire. 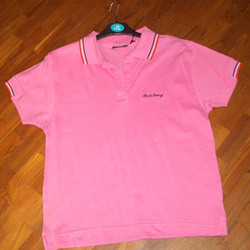 The knitted sports t-shirts offered by us provide a sporty look to the ladies. 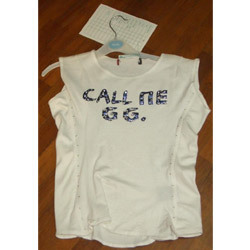 These knitted sports t-shirts can be worn with short pants, skirts as well as jeans. These knitted sports t-shirts are sweat absorbing and provides a cooling effect to the body. These t-shirts are available in various sizes as well. Looking for Girls T-Shirts ?